S P Jain’s history dates back to 1981 when its first sister campus was established in Mumbai, India. This had the unique distinction of being inaugurated by the then Prime Minister of United Kingdom, Hon. Margaret Thatcher. Since its inception, the School has been ranked amongst the top 10 business schools in India for its MBA programs. 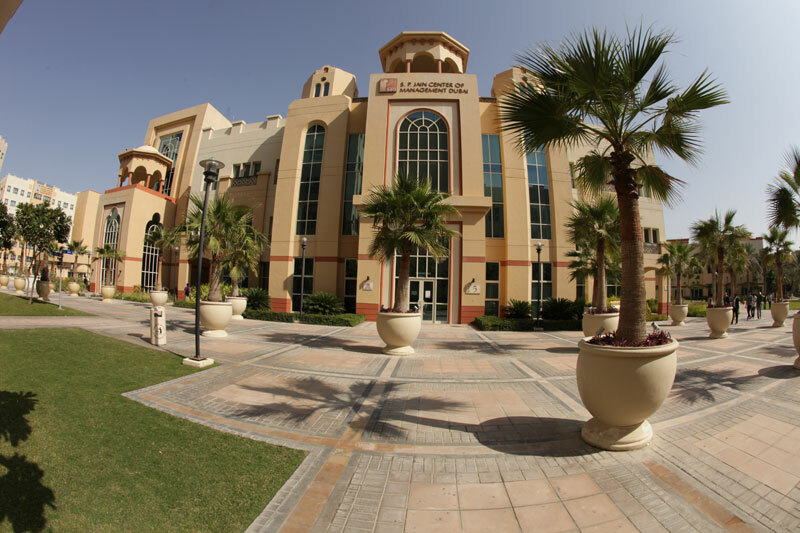 In 2004, S P Jain with its objective to focus on global learning established its first international campus in Dubai. S P Jain has been ranked no.1 in the U.A.E. in a Brand Perception Audit conducted by Nielsen in 2008. In 2005, S P Jain was invited by the Singapore Government to establish a campus in Singapore. The school, with another step forward towards global learning, continued its legacy in management education and set up its Singapore campus in 2006. In 2012, S P Jain launched its third international campus in Sydney, Australia which offers students truly global education along with the opportunity to immerse in the exciting culture of Sydney, and at the same time experience the essence of western culture, giving them an edge to understand global business practices at an early age hence, accomplishing an exemplary global tri-city structure (Dubai, Singapore, Sydney). S P Jain offers a plethora of programs for undergraduate and post-graduate students. The Master of Global Business (MGB) and Global Master of Business Administration (GMBA) programs for graduates, Bachelor of Business Administration (BBA) for undergraduates and Executive MBA (EMBA) for working professionals seeking a boost in their careers. Let us take a look at the programs offered. Bachelor of Business Administration (BBA) – S P Jain’s BBA program is a four-year program for undergraduates. 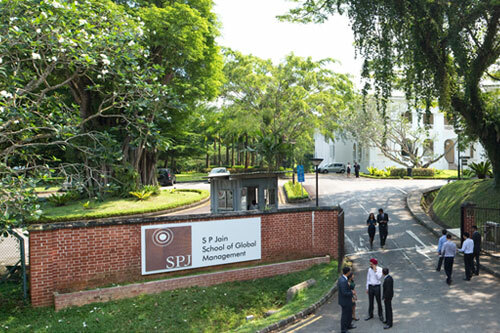 Candidates study at S P Jain’s campuses in three dynamic cities – the first year in Singapore, followed by a year in Dubai and two years in Sydney. Studying, living, and interacting with corporations in three cities on three continents exposes students first-hand to different business environments and cultures, enhancing experiential learning. Master of Global Business (MGB) – S P Jain’s MGB is a uniquely crafted sixteen-month program (including a four-month internship) that immerses students in the business culture of three dynamic cities – Dubai, Singapore and Sydney. The MGB is specially designed for graduates with little or no work experience (less than three years) to help them acquire the knowledge and skill-sets required for a great career in global business. Global Master of Business Administration (GMBA) – The Global MBA is a one-year residential program designed for students with more than 3 years of full-time work experience. The curriculum is the same as a traditional two-year program, but delivered in a compact time frame with fewer holidays. Students spend four months each in at S P Jain’s campuses Dubai, Singapore and Sydney. Here they study first-hand about diverse business practices and cultures in these regions. Students learn to appreciate, accept, and adapt to a multinational state of mind. The program helps graduates become effective decision-makers and communicators, essential qualities for today’s leaders. Executive Master of Global Administration (EMBA) – S P Jain’s MBA (Executive) is a two-year/fifteen-month (fast-track) program designed to meet the needs of high-achieving professionals who wish to enhance their education without interrupting their careers. With three progressive specializations and a quality dissertation, the program elevates the business acumen of the participants, thereby giving them an edge in their career paths. It helps them contribute significantly at work and perform in a way that brings out credible results. Since its inception in 2004, S P Jain has consistently climbed up the excellence ladder in terms of the quality of education provided and the outstanding results achieved in the face of successful alumni. Despite being a young business school, S P Jain has established itself strongly as one of world’s best business schools. Take a look below for the list of rankings. – Association of MBAs (AMBA), UK, for its Global MBA, Executive MBA and Master of Global Business courses. – ABEST21, promoted by the Ministry of Education, Japan, for its Global MBA course. – S P Jain is registered as a Higher Education Provider by the Tertiary Education Quality and Standards Agency (TEQSA), Australia. At the end of course, students are conferred Australian degrees. S P Jain prides over its tri-city model for it programs. Students get to live and learn in three world-class global cities – Dubai, Singapore and Sydney. 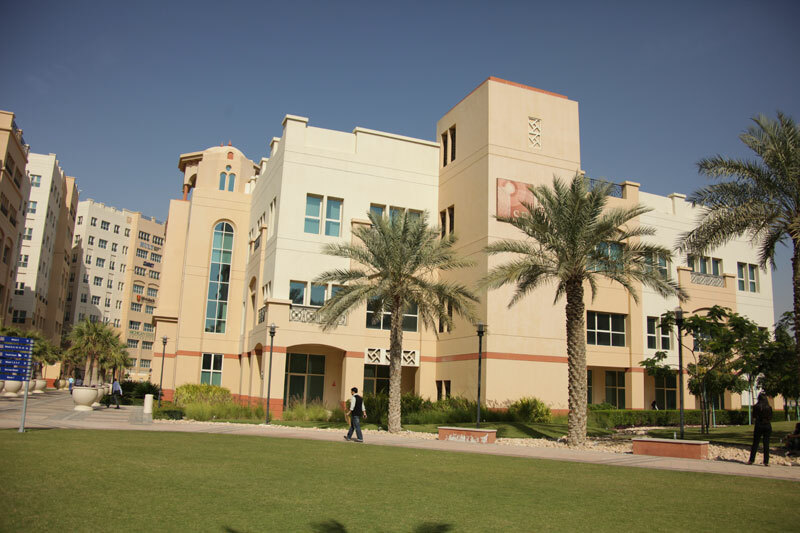 Dubai – S P Jain’s Dubai campus is located in the acclaimed Dubai International Academic City (DIAC), a purpose-built, shared campus for a host of colleges and universities. 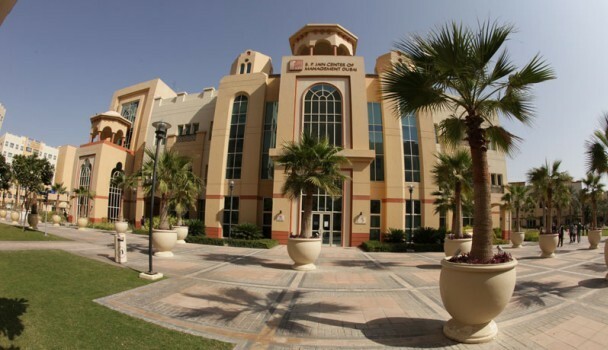 At the DIAC, S P Jain occupies an entire, stand-alone, three-story building covering approximately 60,000 square feet. The campus is built in a contemporary fashion and houses several state-of-the-art facilities that include hi-tech learning centers, a mock trading room, an up-to-date library, video conferencing facility, a Reuters terminal and more. The in-campus cafeteria and the food court in the Academic City offer multi-cuisine options to students. Singapore – S P Jain’s Singapore campus comprises a heritage building and other modern buildings spread over seven beautifully-landscaped acres. The campus is located in close proximity to downtown Singapore, medical facilities, 24-hour food outlets, grocery stores, as well as recreational and corporate centers. The campus is easily accessible by roads, buses and metro trains. Classrooms are ultra-modern, tiered with comfortable seating, and equipped with cutting-edge audio and video equipments. The campus also houses a library, dormitories, student lounges, a cafeteria (offering a variety of international cuisine options), a sandwich shop and coffee bar, and an in-house gym. Sydney – S P Jain’s newest campus in Sydney is a 72,000 square feet building located in the historic Sydney Olympic Park. It is located in the heart of Sydney, in close proximity to several parks and restaurants, and a 5-minute walk from the train station. 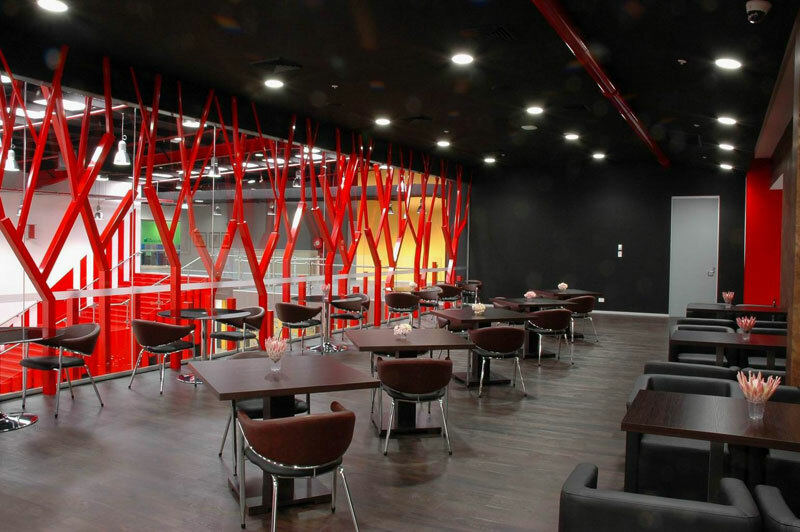 S P Jain in Sydney is a state-of-the-art facility equipped with modern and fully tiered classrooms, library, recreational areas, lounges, gym, video conference classroom and a restaurant. Students engage in a number of out-of-class activities that expose them to the regional economy, political environment and local cultural practices. S P Jain offers a cutting-edge 21st century curriculum designed by experts and benchmarked against the world’s best universities. Rigorous coursework ensures that graduates are thoroughly prepared with the knowledge and skills they need to excel as leaders in a global workplace. Faculty at S P Jain employs a vibrant and interactive style of teaching in classrooms equipped with latest technology. Teaching methods simulate a real-world work environment with dedicated emphasis on critical thinking and problem solving. The unique and highly-advanced curriculum at S P Jain highlights real-world skills such as business communication, presentation, selling, creative thinking, persuasion and negotiation, networking and relationship building through decision-making laboratories and uniquely-crafted personal effectiveness workshops.